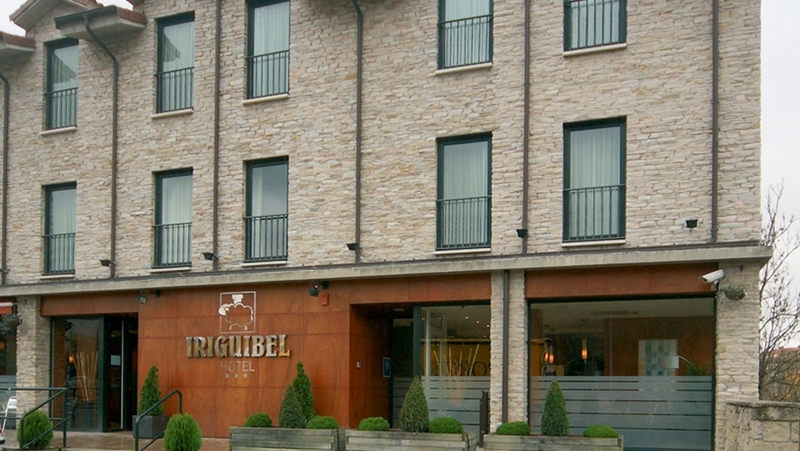 The Hotel Iriguibel is located 4 miles from the centre of Pamplona in Huarte, just a few metres away from the Itaroa shopping and leisure centre and near the Areta and Egüés industrial estates. It is also close to places of cultural interest such as the Oteiza museum and the Pilgrim’s Way to Compostela. 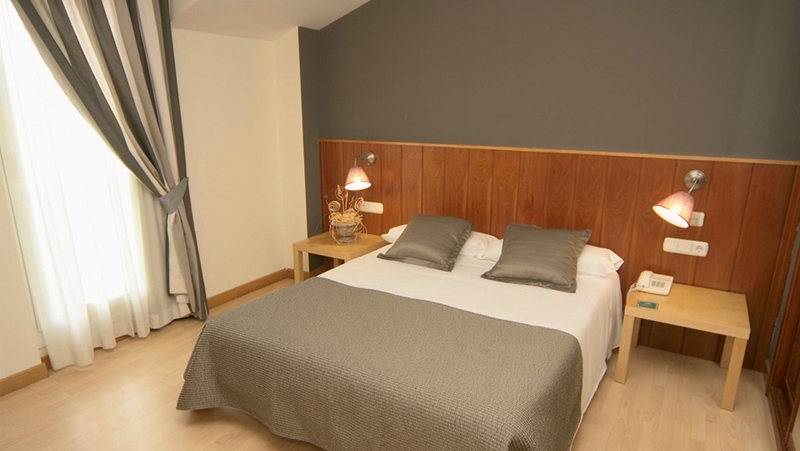 It has 37 very comfortable rooms, all soundproofed and climatised, with full bathroom, telephone, free safe deposit box and 22” 10-channel LCD TV (Digital +). Buffet Breakfast, free minibar (non-alcoholic drinks), Internet Corner with 2 PCs with a broadband connection, free Wi-Fi throughout the hotel, library, outside car park (with video surveillance). Bar-Cafeteria ‘El Salón de Estar’, with a wide range of tapas, meals service and room service (Monday-Thursday).